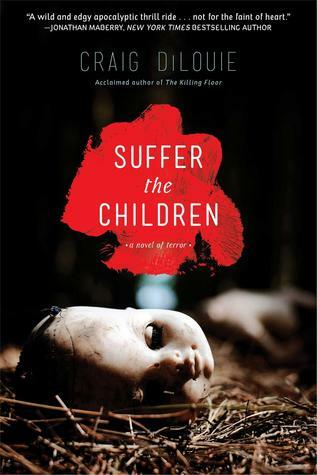 In “Suffer the Children”, DiLouie successfully provides readers with a horrific scenario, the start of civilization’s collapse when all the children in the world drop dead. Then he ups the ante by making the situation get even worse. He does this with writing, with language that is chillingly conveyed without hesitance or sugar-coating. The result is a terrifying ride through a parent’s worst fears realized (creepy and personally moving even for someone without children) and the rapid decay of individuals into monsters, embodying genetic selfishness at its most extreme. The novel, in this way, is exceptionally powerful horror, built upon a basic human fear tied to our reproduction and sense of family, told at a great pace and keeping fans of the genre entertained. However, a significant criticism lies in the fact that this horrific scenario playing out in the novel seems utterly fabricated. DiLouie spends small sections later in the novel to try and give a rational explanation behind the events. More developed (and modern) than a similar type of attempt in a similar kind of story, “I Am Legend” by Richard Matheson, DiLouie makes a similar error of trying to give definition to a horrific event of fantasy (a negative ‘miracle’). The explanation has a reasonable basis, but still fails to explain the facts of the plot, not least of which is the simultaneous death of children en masse within time zones, traveling a morbid constant wave around the globe. The plot thus feels very artificial, set up precisely by an author to maximize the horror and the worst of humanity that ends up being brought to surface. Similarly, DiLouie employs characters that end up feeling increasingly like puppets. On the one hand this is because the adults become puppets of sorts within the actual plot. But also they begin to act with extreme personalities and defects that simply seemed designed by the author. If the reader is able to maintain enough suspension of disbelief to ignore or look past the ample set up and card tricks being employed in plot and character within the novel, they will probably love this. If these kinds of details and authorial maneuvers negate or take away from positive aspects of the novel, the reader will be disappointed. There is exceptional horror and deep rooted human fear here, writing that will pull at the heart-strings of emotions. But this can only be enjoyed if you can look past the fabrications that are so clearly in play to produce the effect.